I thought it would be a great day out and I loved the idea of seeing behind the scenes from the films. I was thinking of it being something for us to do next year but the studio got in touch asking if I would like tickets for me and Stuart. So it meant we could go sooner! Getting to the studio by public transport is pretty easy we got a train to Watford Junction and then got a shuttle bus which takes you directly to the studio and return ticket on the bus is £2.50 per person. We had a time slot of 10am so we had to get up pretty early as my Mum was looking after Blake for the day. When we arrived the place was packed! It's definitely advisable to arrive within good time due to this. Make sure to have your cameras at the ready, as the experience begins even before you enter the Great Hall! There is a guided tour of the Great Hall which you see within your time slot but after you are free to guide yourself around the rest of the tour. There is so much to see and I'd definitely at some point would love to go again. I loved that they had little boards up that explained more about the props, sets and characters. We wondered in taking in as much as we could and they have special events throughout the year. 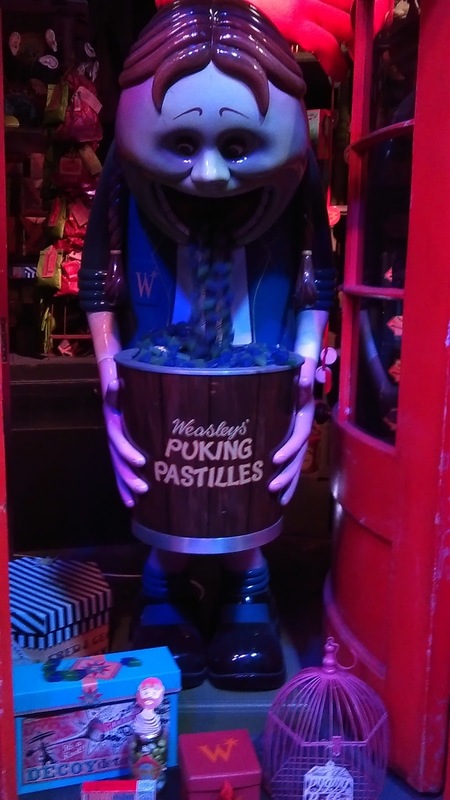 we visited during 'Finding The Philosopher's Stone' event. A number of the early versions of the Philosopher’s Stone was on display and we also got to see how they made Unicorn blood and there was a chance to play with Fluffys drool and troll bogies. We chose not to do the wand training or broomstick flying as they were far too expensive at £14 for one photo or £40 for two photos and a video. One of the places I had been looking forward to was the Hogwarts Express and platform 9 3/4. The area offers a glimpse into how some of the films’ most iconic scenes were created as well as giving you the chance to climb aboard the train’s carriage and to pose with a luggage trolley as it disappears through the platform wall. Although again you had to pay to have photos done. There is also the chance for you to browse a wide range of goodies inspired by the Harry Potter films and, specifically, Hogwarts Express in a train-themed souvenir shop which was open on the platform. After visiting the Hogwarts Express there is the Backlot cafe where we decided to get some food. Unfortunately it is rather pricey we got two roles, a capri-sun and tankard of Butterbeer which in total cost just under £15. They were tasty but definitely overpriced and we would have brought our own food if we had known this. We got one tankard of frothy Butterbeer to share which is an non-alcoholic beverage which is reminiscent of shortbread and butterscotch. We chose to get the Butterbeer in the souvenir tankard as we didn't plan on getting anything from the souvenir shops. I enjoyed the taste of the foam on top but not too sure how I felt about the taste of the drink itself as it was quite odd. If we were to go again I'd definitely like to try out the Butterbeer ice-cream which is available to enjoy in a waffle cone for £4.95 or in a souvenir sundae dish for £6.95. 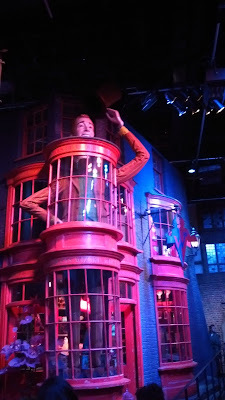 After having a bite to eat we headed out to continue the tour which is outside the backlot and includes number 4 Privet Drive which is open until 5th September. 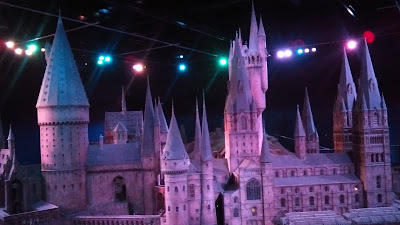 We got to also experience more magic with walking along Diagon Alley and seeing the scale model of Hogwarts. Overall Stuart and I really enjoyed ourselves and had an incredible day. We were there for about approximately 3 hours or maybe longer. We probably would have stayed longer if we had been more prepared food wise, I'd definitely go again in the future. *We were given tickets for the Harry Potter Studio Tour in return for this review. All thoughts, opinions and photos are of my own. Oh wow, I've been before but I desperately want to go again as it's been updated so much since I first went a few years ago! It sounds like you had a great time. I visited a few years ago but there seems to be a lot of new exhibits there now ... maybe an excuse to go back! Oh wow, there is a lot to see there! This sounded like a lot of fun! I still haven't been here and as a HP fan I think that's a tad disappointing! I've been to the HP studio tour twice and still absolutely love it! There's so much to see and I saw loads I'd missed the first time around. I've been and I loved it but there are so many new things since I went! What a great experience! My fiance and I are friends with a couple who have been here recently and said it was amazing. I'd heard it was quite expensive but it's really useful to hear about the souvenir tankard and dishes options. I could easily go and not feel like I'd missed out that way. Ah I'm so jealous! Your photos are amazing! I'm a huge Harry Potter fan but yet to do the studio tour. A place I would love to visit one day. I love Harry Potter. I can see you really enjoyed yourselves. Sounds like it was a fun filled day. I am desperate to visit the studios! Thank you for these tips as it looks like it could be an expensive day. I better start saving!!! It looks like great fun there, my girls really want to visit. I am not a Harry Potter fan myself, but this seems like a must for anyone that is! I have always wanted to go to that place, it looks so cool. However I am quite sad that the castle doesn't exist in real life. Dying to see the Hogwarts express, very jealous. Dying to go! I have never read the books or watched the movies but this still looks cool! Oh, my goodness, that is so, so cool!!! I've wanted to go for a good while but it's so expensive. MUST. SAVE. UP!!!! !